Mitzi lying on a blanket on the living room floor, swatting away at the mobile above her. Mitzi in the highchair by the table playing her favorite game: “poons” (banging various spoons on the table and then dropping them one by one on the floor for mama to pick up). Mitzi voraciously devouring another book – literally. She sucked on the corners of Mr. Brown so much that the cover now reads “Mr. 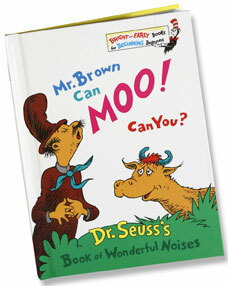 Bro Can Mo Can yo – Dr. Seuss’s Book of Wonderful No”. Me starting to sing again. I had stopped 30 years earlier when a grade school teacher told me to. But to be fair, she might have had a point. My husband used to say my singing wasn’t putting Mitzi to sleep, it was making her lose consciousness. I remember that first year and a half of tag-team parenting as the most romantic period of my life. Having waited eleven years for mother-/fatherhood, we threw ourselves into it with a passion. I never felt for a moment that I was missing out on some other possible, free and childless, lifestyle. My husband and I had spent enough time as a couple of Dinks – years of being ridiculously over-prepared for our respective teaching gigs. We had bought a home and renovated it. We had travelled and partied and changed jobs and started new hobbies and spent money freely on un-necessities. I had gone back to grad school and he had run a few marathons. Various friends had moved into our house for a while and out again. Pets were added to the domestic mix and became our replacement children (except for that first cat – Gina the B. . . . I’m gonna say “Beast” even though it doesn’t rhyme with “witch”. She had her own ideas about her role in our household.) We had been every there and done all that. But now THIS . . . this parenthood thing . . . THIS was something new every day! To be honest, it was a bit like playing house in the beginning. My husband was a 50/50 dad and Mitzi was an easy, sunny baby. She also started her life as a great sleeper – but, never fear, we somehow managed to rid her of those good habits by the age of six months. (Oh, those painful bedtime traumas! To this day, I still get impatient and uptight when she stays up too late. 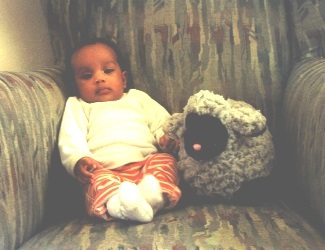 Almost 16 years old now, she tells me – rightly – that I am being hysterical. I shoot back that it is her own darn fault.) The moon wasn’t a big help either, though. At some point I realized that her bedtime stress came in regular intervals. I had never believed in astrology or that the alignment of planets affects us here on Earth – but I started to wonder after I noticed that her sleep troubles were always in the last three days before a full moon. When her first word after “mama” and “papa” turned out to be “moon”, I became a believer. That was one of many unexpected revelations in parenthood. Another was that having a child is like getting a big and powerful friendship magnet. I had lived outside our village for 11 years but knew hardly any of its citizens. I had a knack for forming close friendships with women who were only temporarily here. One after another, they took off for bigger and better places (like Berlin – to name just one example off the top of my head.) My job being in another city 50 miles away, I hadn’t met local people through work, so most new relationships came via the hubby and remained fairly cool. Now, with Mitzi by me, I suddenly started connecting with other young (and mostly younger) mothers. Play groups formed. Later, each time Mitzi was institutionalized (nursery school, kindergarten, grade school . . .) I ended up forming another new friendship or three – many of which are still going strong today. You think of young mothers as being isolated somehow, but in my case, it opened all sorts of doors to new people. Even my friendship with my nearest neighbor only began after Mitzi came home to us. In the 11 years before that we had maintained a polite, Frosty relationship – you know, the “good fences make good neighbors” idea. Now we meet up several times a week for dog walks and we celebrate every Christmas and Easter together. No Mitzi, still Frosty. Although most of the revelations of motherhood were good ones, there are one or two dirty little secrets that no one tells you about beforehand. One young mother in our play group had a particularly hard time dealing with her fears. She simply refused to drive anywhere with her husband unless the child was also in the car. Her reasoning: what if something happens? Our child would be an orphan! Her house was pristine. It reeked of soap, disinfectants, and strong, anti-bacterial cleansers – so much so that Mitzi often started sneezing when the play group met there. When this mother’s baby developed rashes and dermatitis and allergies, it only confirmed her fears. She once came over to my house and brought her own mother along. I saw the Grandma’s disapproving eyes scanning my living room, looking suspiciously at the baby blanket full of toys on the floor where Mitzi often lay and then the dogs roaming past it, shedding hairs. The first thing this mother’s mother did was feel Mitzi’s bare feet and proclaim them to be cold. I checked quickly and they seemed perfectly warm to me, but I put some socks on her anyway. “What instincts?” I thought. 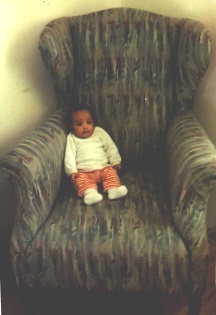 I was not only a worrywart by genetic pre-determination, I was also never pregnant. My hordes of nieces and nephews were off at too great a distance for me to pick up vicarious childcare skills through them. Our parenting was going to be learning by doing and we were going to make mistakes along the way. And thank goodness for that. If you ask me, the concept of “the perfect mother” is a pretty frightening one. Over the years, I have crystallized parenting down to two simple things: 1) you have to love your child and want him/her to be happy and 2) your child has to know – and I mean really know, deep down – that you love them and want them to be happy. If those two things happen you can go ahead and make your mistakes. Things will turn out okay. The other little secret of parenting no one tells you is that time speeds up. You get what seems like about a month to revel in having a new baby in the house. Then you turn around in a circle once and she is pulling herself up and taking those first steps. You turn around a second time and she is getting on a school bus. Turn around a third time and she is riding away from you on her bike for the first time. The very next day she drives off on her new Vespa and you realize you have about 15 more minutes before she flies off to the States for her high school exchange year. 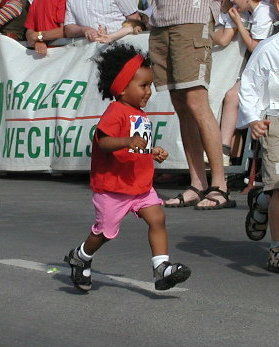 Mitzi was less two years old when she took part in her first running event. I stood on the sidelines, watching as she raced past me. This was all going by too fast. I missed the baby blanket on the living room floor and the colorful toys scattered around it. I missed the bassinet and the cute little booties and darling size 56 jumpsuits. I missed singing lullabies and reading Dr. Seuss and playing finger games. The memories of our 9 months of adoption labor pains and the traumatic moments during the birth of our family had faded. My thoughts turned toward Ethiopia. Great post. I’ve never had children but I’m pretty sure you nailed how it goes especially the time. My sweet nieces and nephews who needed my hand to cross the street are in their early 40s. Where did it go. I also remember their parents being frantic over stuff, like my very outgoing niece who talked to everyone getting stolen. Everyone grew up and turned into wonderful adults. That’s all we can hope for. Thanks, Kate. I can relate to those parents – Mitzi also liked and talked to everyone. For a while there I was imagining pedophiles behind every playground fence. Thanks 42 – and yes, she is very beautiful. 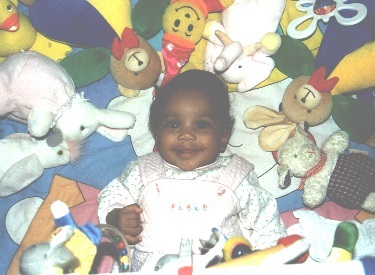 (I get to say that because I am not indirectly complimenting my own genes – another perk of adoption.) And you should hear her sing! And I will send you a link by email – don’t want to do it here for privacy reasons. This is a really wonderful read. As I am preparing to be a mom after 10 years of marriage, a lot of this resonates on a deep level with me. Thank you for the wonderful post! And thanks back to you! I can’t remember if I ever sent you my best wishes for your pregnancy – but you have them now! you’re absolutely right, it all went by in a blink. And there’s but one more, untill they’ll be out of the house. What will happen then, I wonder? And how on earth will you be able to cope for the time, the big one is off to the US?